Manufacturer of a wide range of products which include disc check valve, industrial valves, gate valve, ball valve, globe valve and plate valve. 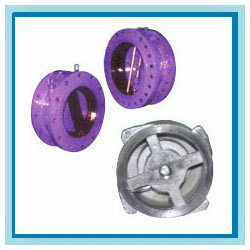 Leveraging vast industry experience we are offering the best quality Disc Check Valve. Our offered check valve is suitable for any process such as liquid, gas, air and steam. This check valve is manufactured under the visionary guidance of experts utilizing finest grade material and latest techniques in conformity with set industry norms. Besides, offered check valve is properly checked on different quality parameters assuring its excellence at customer’s end. Our firm is engaged in manufacturing and supplying an exclusive range of Industrial Valves. 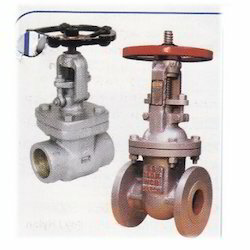 This industrial valve is available in different specifications as per the needs of customers. Our offered industrial valve is a perfect blend of functionality and durability. The offered industrial valve is manufactured under the supervision of experts utilizing superb quality material and advanced tools in adherence with prevailing market trends. Our expertise is in manufacturing and supplying an exclusive range of Gate Valve which provide minimum turbulence and resistance to flow of fluid. 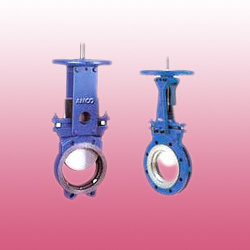 The offered gate valve is developed with the help of top quality material and modular techniques in compliance with set industry standards. This gate valve is made obtainable in number of specifications for our customers to choose from. Clients can avail this gate valve from us at nominal price in a stipulated time. We are recognized as the foremost manufacturer and supplier of premium quality Ball Valve that control the flow of fund through the spherical disc. Offered ball valve is examined by our quality controllers so as to dispatch a defect free range. Our ball valve is manufactured by professionals using high quality material and advanced techniques in fulfillment with prevailing market trends. 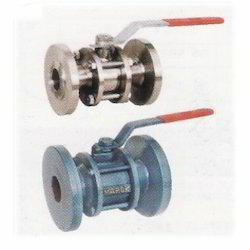 Clients can avail this ball valve from us at competitive price. 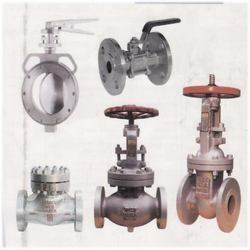 We are an eminent manufacturer and exporter of high quality Globe Valves that are made using the advanced technology. 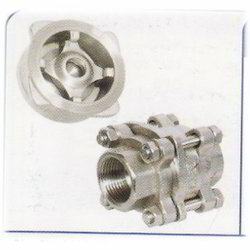 Used for handling more pressure, these are extensively demanded by our customers in varied industries. 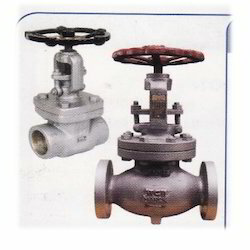 Owing to their qualitative features including dimensional accuracy, durable finish standards and precise functioning, these globe valves gain appreciation by our clients. Our range of Plate / Gate Valve acts as excellent hopper isolation valve with the ability to cut the flowing media and close by dislodging any material in the seating area. These Valves are available with Metal to Metal Seating and Metal to Polymer Seating. Metal to metal to rubber seats. Wetted moving parts corrosion resistant. Low pressure force required to open the plates. Plates close smoothly with retardation of flow when the pump is tripped without the aid from reverse flow.